Alpina Horological Smartwatch for ios and android, powered by MOTIONX. 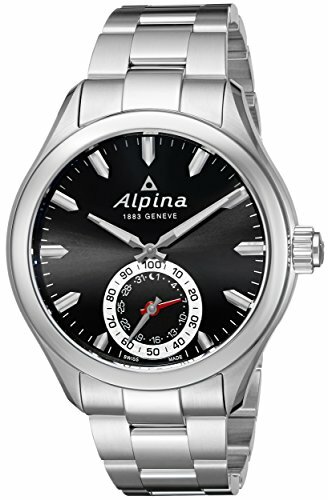 This Alpina Swiss Men's Watch Model # AL285BS5AQ6B , AL 285BS5AQ6B is sure to impress with its elegant, modern and charming design! 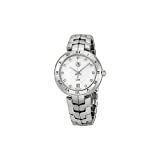 This Swiss men's watch is presented in a brushed & polished stainless steel case and bracelet, Black sunray dial, silver tone & luminous hand indicators, silver tone & luminous index hour markers, Combined date and 1/100th second sub-dial at the 6 o'clock position, Superior Anti-reflective Scratch Resistant Sapphire Crystal protects the dial, Screw down crown, Solid case back engraved Alpina 1883 Geneve, Swiss Quartz movement, Engine: MMT-285. Water resistant to 10ATM/100 meters/330 feet. ALWAYS ON TIME and DATE - You never have to set a time and date - traveling across time zones, it picks up the time from your smartphone and displays new time automatically. 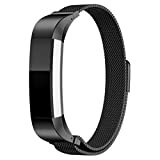 ACTIVITY TRACKING - Keep track of daily steps, calories burned, and total distance. GET ACTIVE ALERTS - Set an alert to remind you to move if you've been idle for a set amount of time. SLEEPTRACKER SLEEP MONITORING - Wear your watch at night or put it under your pillow to record your sleep. Sleeptracker provides details on how much time you spent in deep sleep, light sleep, or awake. SMART SLEEP ALARMS - Set a smart sleep alarm that will help you Wake Up At the Optimal Time in your sleep cycle so that you wake up refreshed. DYNAMIC COACHING - Get suggestions, tips, and information catered specifically to you based on your activity and sleep goals. MOTIONX CLOUD BACKUP and RESTORE - Recover all of your data even if you lose your watch or phone. WITH 2 PLUS YEARS BATTERY LIFE - Your Alpina Horological Smartwatch is a real Swiss watch in its pure tradition. 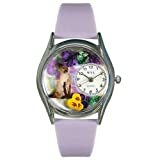 Your timepiece features an electronic movement with 2 plus years battery life. As all of our watches, this Alpina Horological Smartwatch is BRAND NEW, and comes in its original packaging with the warranty card and papers.